RPTA’s commercial lease tax analysis and consulting services help property owners and tenants make sound leasing decisions. Competitive landlords know that effective property tax management reduces the largest cost of occupancy and attracts the best tenants. And competitive tenants know that property taxes are the largest cost of occupancy to consider before signing on the line to lease a commercial space or building. If you’re leasing an entire building or some space in a multi-tenant building, you should include a commercial lease tax analysis as part of your due diligence. Once you know whether or not the property taxes are too high, you’re equipped with the data you need to negotiate better lease terms or choose an alternative property – one for which taxes have been properly managed and you are not paying more than your fair share. Whether you’re a landlord leasing commercial real estate space or a tenant looking to expand, RPTA’s commercial property tax consultants know how to analyze commercial leases with unsurpassed detail. We ensure that you’re in the most favorable tax position before you strike the deal. 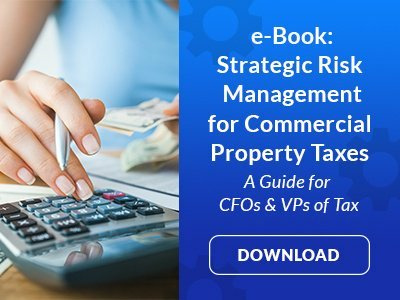 Whether you’re an owner or a tenant, don’t sign on your lease’s dotted line without a complete analysis of your commercial property tax responsibilities. Instead, work with RPTA to put together the data and action plan you need to reduce long-term financial risk and strike the deal that makes sense. Learn the secrets to eﬀecve property tax management.